Torres, an award-winning, Cuban-American, 2-time GRAMMY-nominated singer/songwriter, created “Never Again” as a direct and timely response to the recent mass shootings that have plagued America’s school system and society. After being deeply affected by the continuous tragic events that have become a sad fixture in our daily lives, Torres sat down with producer/songwriter Emil Temeltas to pen “Never Again.” Soon after, they invited Jakaree, a high school junior from Miami’s inner city and a student in our music mentorship program, to write and perform an original rap within the song. 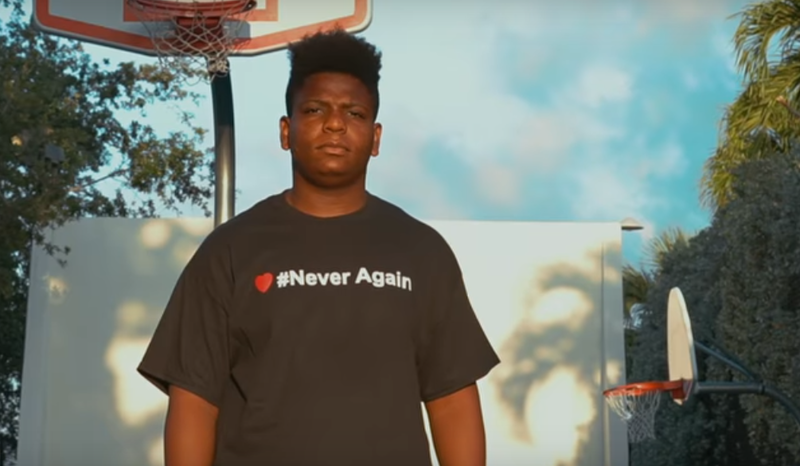 “Never Again” features several children from North Miami’s elementary school system lending their voices to sing in the impactful chorus of the song. They are also featured in the music video, alongside teenagers and youth activists from the Greater Miami area. “Never Again” is now available on iTunes, Amazon, and Spotify, with a percentage of all profits going to support advocacy efforts toward gun reform legislation. We couldn’t be more passionate about this cause. Congratulations to Jakaree on this achievement! We’re so proud of his artistry, conviction, and leadership.